Influencing into commune development plan by mainstreaming the CCA/DRR was initiated by the NGOs Environment and Climate Change Alliance (NECA) of NGO Forum on Cambodia and Southern Voice on Adaptation (SVA) as well as interesting partners in order to find the best strategy to work at both national and sub-national levels where the CC prone area.. That is a piloting project had been introduced since 2015. 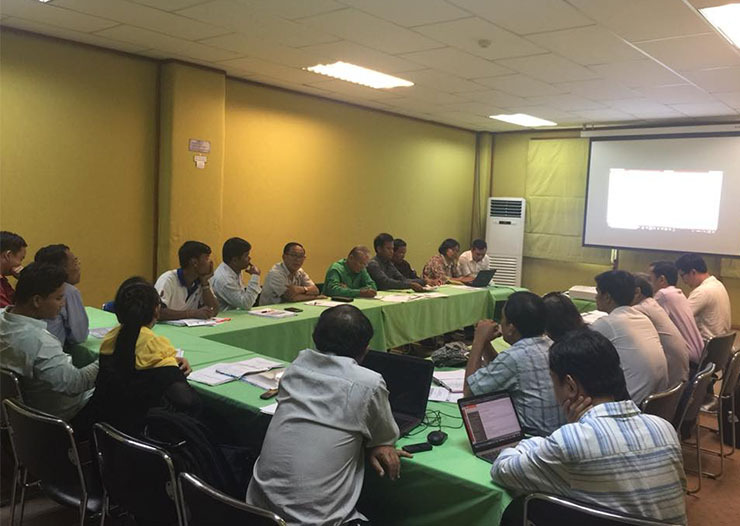 We also refreshed the Join Principle for Adaptation principle and how we could track the CCA mainstreaming for sub national level, especially the Commune Development Planning. 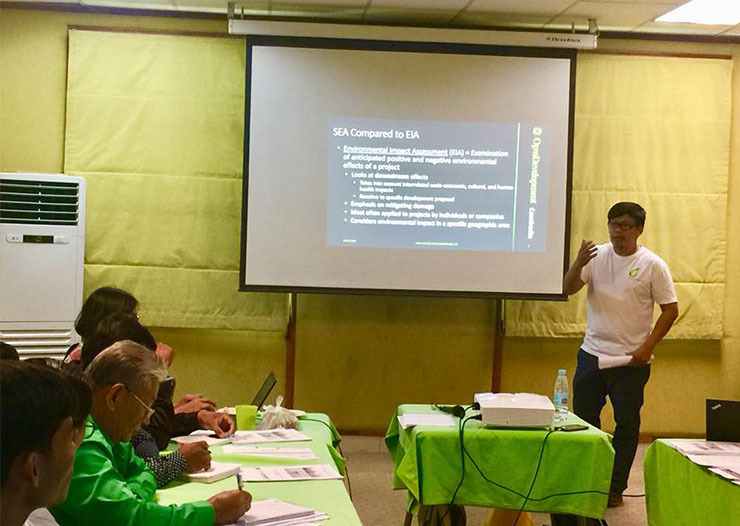 There were two tracking sheets had been discussed and agreed by participants who suggested them to fill up the visible information with the specific activities and relevant commitments to support local community and authorities aiming develop the commune development planning integrating the CCA concept based on CCA mainstream guidelines. This meeting was started with update from NECA members who were actively worked on climate change and environment issue with the grass root level as well as the progress of CCA mainstreaming into CIP/CDP from respective target area. Would be significant highlighting that under SVA activity; we focus this year on CCA mainstreaming into CIP/CDP by using the JPA principles. 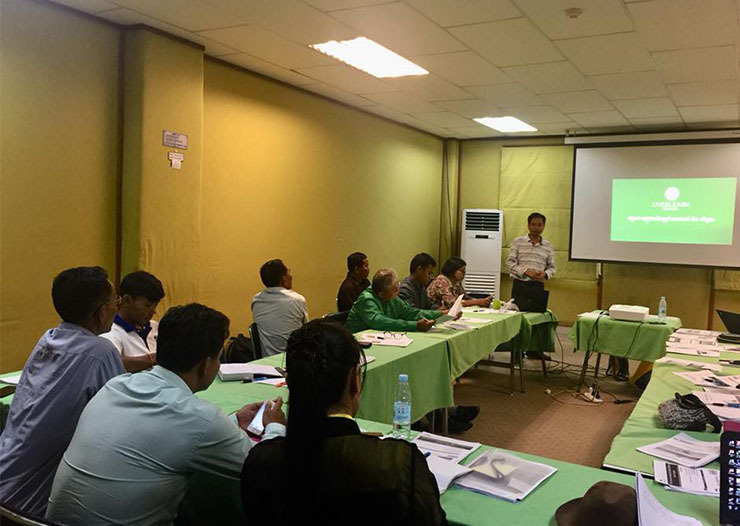 So far a three days training had been conducted for 37 participants from NGOs Environment and Climate Change Alliance (NECA) of The NGO Forum on Cambodia (NGOF) from Battambang, Banteay MeanChey, Kratie, Prey Veng, Rattanak Kiri, Kompong Cham, Takeo, Kompong Thom, Kompong Speu, Tbong Khom, Pursat and Phnom aimed at 1) to improve capacity and knowledge of NECA members, CBOs, local authorities and concern stakeholders on understanding of the climate change concept and mainstreaming tools including VRA, CDP/CIP formulation process, and JPA 2) to strengthen sub-national engagement to apply concept and principle of climate change mainstreaming tools into their works in address climate change issues. 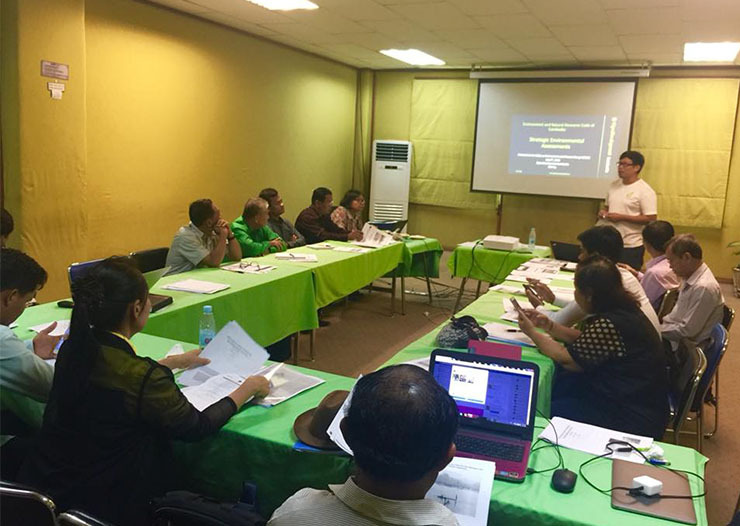 In order to help the participant to have deep understanding, in the last day of the workshop the field was organized to practice the VRA and JPA tools for climate change mainstreaming into CIP/CDP. Therefore,it is good time to update on the Guideline for the Preparation of the National Strategic Development Plan 2019-2023 for all participant to understand the involvement of the CSO in NSDP development process. There were many speakers invited from government agencies and CSO partners. H.E Poch Sovanndy, Advisor, Ministry of Planning, Presented the Guideline for the Preparation of the National Strategic Development Plan 2019-2023.H.E mentioned that NSDP 2019-2023 is in the preparation process. Ministry of Planning takes a lead to develop this NSDP starting from preparing the draft outline of NSDP after got permission from all levels for official preparation of NSDP. There were 7 chapters including key achievement, development of macro-economic development, next five years strategic planning, budget plan of the next five years strategic plan, monitoring and evaluation etc. Monitoring will be done every year but in reality only bi-yearly monitoring will be held by sector ministries and at the national level. Mr. 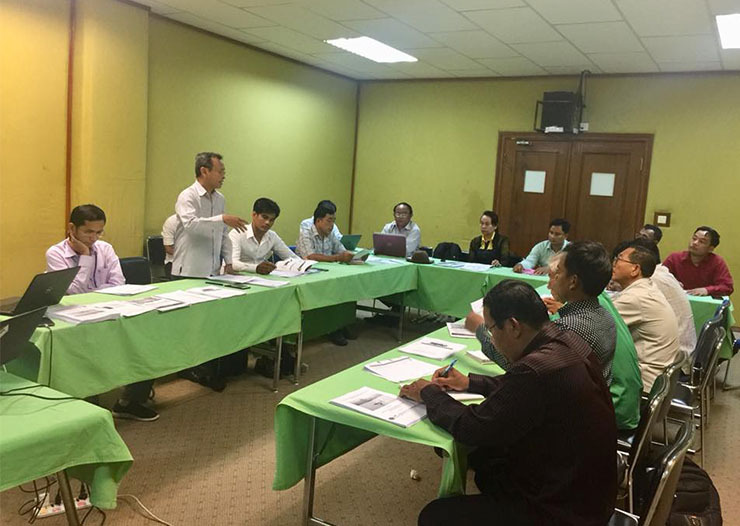 Tea Saorithy, Program Budget Planning Specialist, Department of Planning and Statistics, Ministry of Agriculture, Forestry and Fisheries presented the draft of NSDP 2019-2023 in agriculture and water sector. In the next five year it is expected that agriculture sector increase. The agriculture master plan for 2030 also defined clearly this section. He also mentioned that ASSDP will be developed with need to collect input from all departments and stakeholders. It will be discussed with TWG A&W while the key contents finalize. Other speaker, Mr. Iean Russell, Senior Policy Advisor of Food and Agriculture Organization of the United Nations also invited for presenting the NSDP 2019-2023 development process and the NGO/CSO roadmap to NSDP in particularly food security and nutrition. He presented the background, approach, timeline and recommendations. The propose approach for NSFSN 2019-2023 for collect input from all key stakeholder. – Overall targets. SDG need to coordinate to work together such as govt, cso, private sector. – 32% stunting children from zero to 18 years by 2025. The next five years we need to achieve this goal. 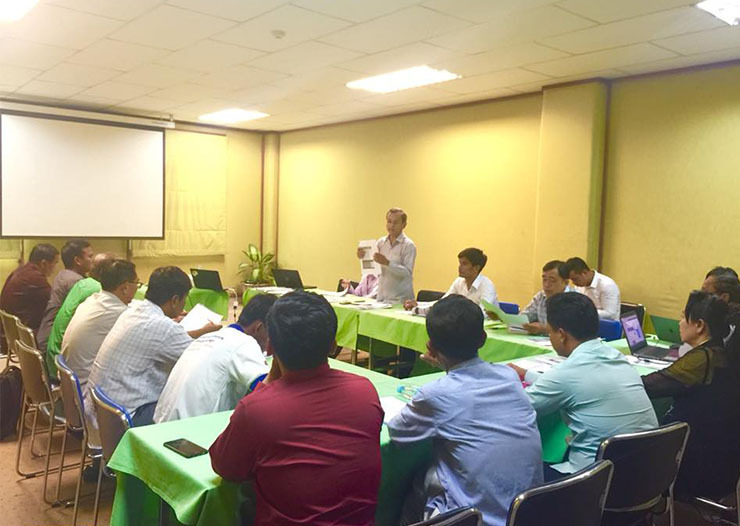 Mr. KEO Bunly, Development Policy Working Group Coordinator of the NGO FORUM on Cambodia (NGO Forum) presented CSO contribution and inputs to NSDP 2019-2023. We have identified the technical working group for submitting the CSO input. There are 19 TWGs currently functioning including A&W, CC, Access to Information etc. We will work with ministry of economic and finance. We will work with consultant to conduct desk review. It will be present to TWGs. As an observer to Climate Investment Fund (CIF); Mr. Sou Socheat, Live and Lean also joinedt us by providing the comprehensive presentation,and discussed about CSO engagement with the United Nations Convention to Combat Desertification (UNCCD) Civil Society and CIF Action. Observably that is also good opportunity for CSO to report our concerns and perspective directly to CIF as wee. Meanwhile; Mr. Thy Try, ODC Executive Director and SEA Alumni for Cambodia also refreshed about Strategic Environment Assessment. Strategic Environmental Assessment (SEA) and Environmental Impact Assessment (EIA) effectively promote sustainable development by mainstreaming the environment into economic development and integrating green economy targets into strategic and project-related decision-making. SEA and EIA are the procedures that ensure the environmental implications of decisions to be taken into account before the decisions making. SEA is applied earlier in the decision making to government plans, programmes and policy documents. Congratulation and good news that NECA steering committees have been reviewed and approved the applicants. Now there are new 7 organizations becoming as NECA members namely 1) Non-Timber Forest Products Exchange Programme (NTFP-EP) 2) Rural Community and Environment Development Organization (RCEDO) 3) The Social Environment Agricultural Development Organization (SEADO) 4) Strengthen and Extend Community Economic Association(SECEA)5) Village Support Group (VSG) 6) Environmental Protection and Development Organization, (EPDO) and 7) ) Our Objective Organization (OOO).